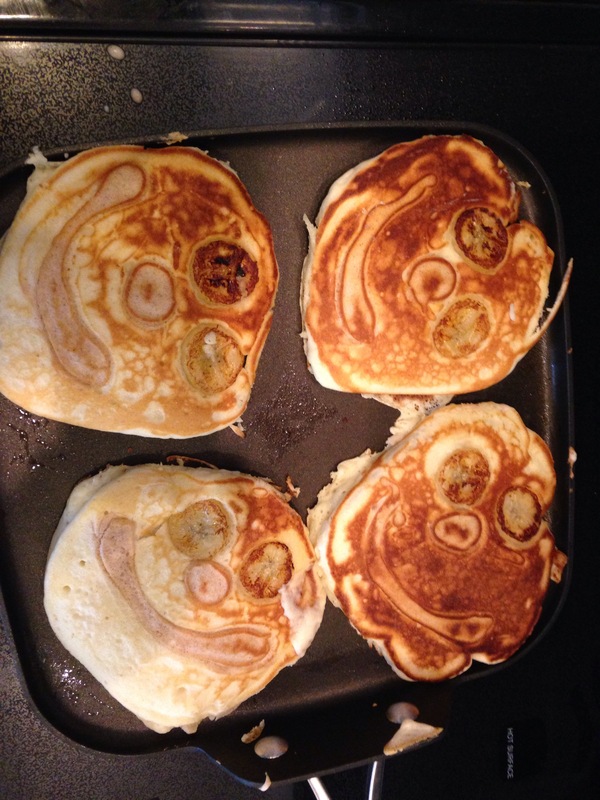 Sometimes when I put my son to bed and try to figure out reasons for him that make sense to stay in bed, need sleep, or wake up to happy things that won’t happen if he gets me up ten million times during the night… I bring out the big guns… Smiley face pancakes. I take a bit of the batter and mix in cinnamon. Banana slices, cinnamon batter noses, and cinnamon batter smiles go on first for about 20 seconds, followed by the normal batter to cover it. The awesome thing is, if I make too many I let them cool and then put them in a freezer bag to freeze for another morning. Toast them in the toaster and they’re all set.